Unfortunately, for this months Magazine, there will be no reports of this year’s Apple Pie Fair (unless the Editor delays the compilation and printing of this issue !?) because the deadline for contributions to this month’s edition was 23rd July – an unfortunate but unavoidable happenstance. Do I hear you thinking “happenstance – no such word, surely!” Well, I’m afraid there is, even though it doesn’t trip off the tongue. As you might expect, it is of American origin and is a combination of “happen + circumstance”. But, back to the Apple Pie Fair. 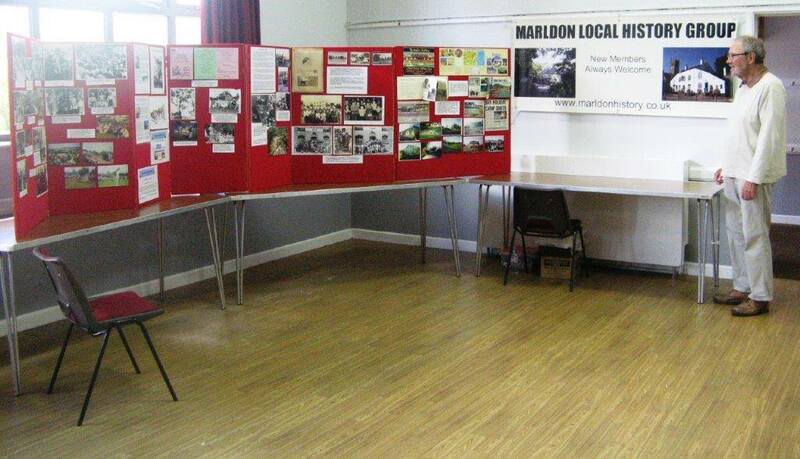 The only thing I can tell you with some certainty is that the History Group had a stand in its usual corner in the Village Hall, with two very interesting displays – one showing and telling the history of the Fair with many old (and not so old) photographs of some of the Fairs which have taken place in the 60 years since the Fair was revived. The other display is the one which we had at our last Open Meeting in June showing the history of the Torbay Chalet Hotel (or Holiday Camp as it was more popularly known), which was on the site of the housing development we know as Brockhurst Park. The “Camp” closed 20 years ago this year, and the display attracted much attention from residents who remembered it and those who were unaware of its existence in the post-war years until 1998. Never mind, I’m sure that there will be a full account of the Fair from its Committee in the September Magazine. And mention of September brings me nicely to our next Open Meeting, which is also our AGM, which is on Friday 7th SEPTEMBER commencing at 7:30pm, when our Guest Speaker will be Simon Dell, who will give us an illustrated talk titled “Policing the Peninsula”, which is a history of policing in the West Country (with some amusing anecdotes apparently). Simon is a new Speaker to our Group, partly due to his being a much in demand Speaker. We are looking forward to hearing about his somewhat unusual subject. Our AGM is also the time to renew your membership of our Group, and we sincerely hope that you will be able to do so. Our annual subscription is still only £5, which entitles you to free admission to all our Open Meetings (in March, June and September). Our Open Meetings are open to all, including non-members (£2), and the free coffee and biscuits alone are worth the subscription/non-member fee! I have mentioned many times before, at our Open Meetings and in these monthly Reports, the Group’s concerns about our membership numbers, and I apologise for bringing it up again. We appreciate that the problem of falling membership numbers/attendances at Meetings is affecting most local organisations, resulting in the closure of some, and the reasons for the problem are varied and genuine. Our current membership is just under 60 (numbers, not ages! ), and average attendance at our Open Meetings is between 30-40. We hope therefore that, if you are a Member or a “lapsed” Member, you will be able to help keep us in existence by renewing your Membership – remember, it’s only £5 per year. And we are of course always looking for new members, so why not give us a try and come along to our AGM. We shall be very pleased to see you.